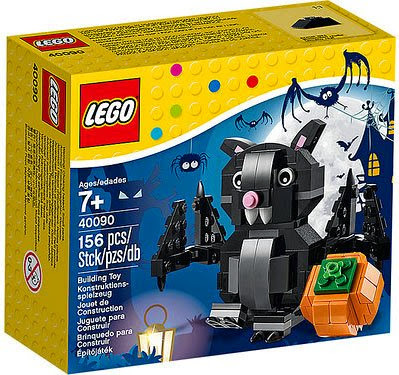 This seasonal LEGO Halloween set features a bat and a pumpkin. With 156 pieces, it's recommended for kids aged 7 and up. 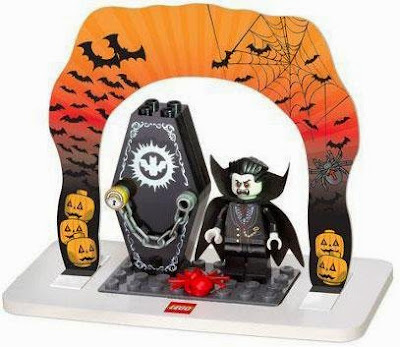 This LEGO vampire is so cute! He's wearing a cape (but of course!) 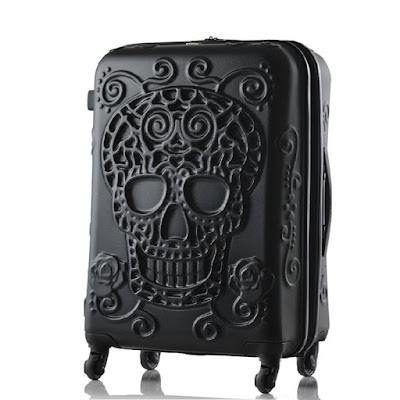 and comes with his own LEGO coffin for you to snap together. 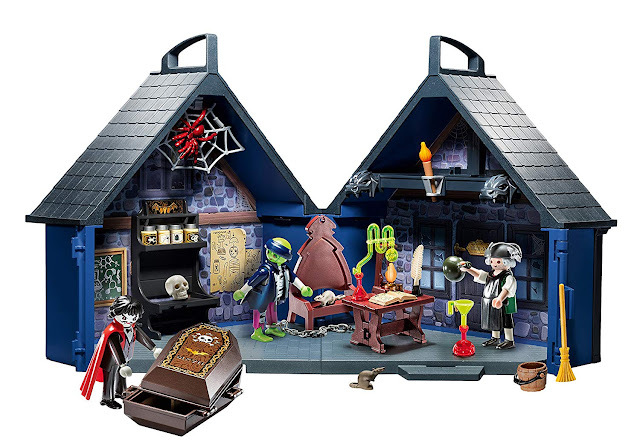 The set comes with a cardboard decorative Halloween themed arch.